The ARCS Eclipse® Laser Cleaning System uses a 50-watt laser source. We have been asked if this is “too much” power – it is not too much! 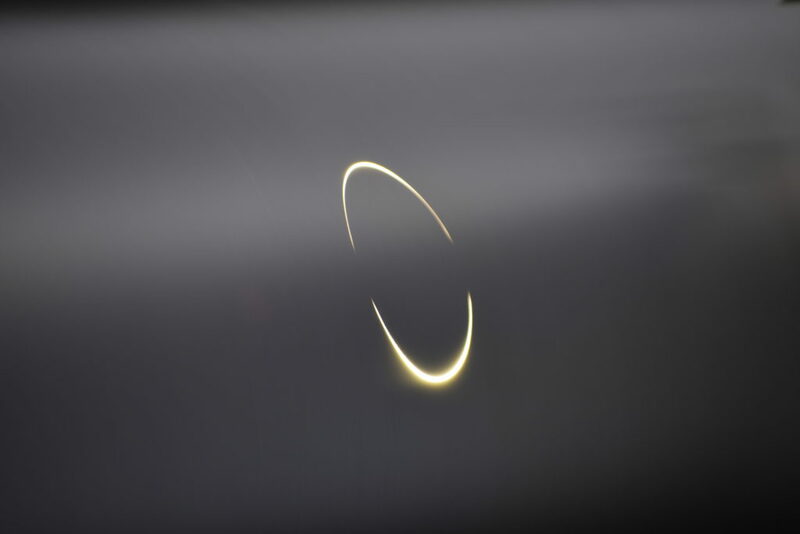 Please see below to learn more about laser Watts and how they directly correlate to Pulse Frequency – understanding these two concepts is key when attempting to compare the Eclipse® System to other laser systems found on the market today. With the right settings used, laser roll cleaning can produce fabulous cleaning results. When the wrong settings are used, the opposite can occur and lead to roll damage. The below explanation covers a lot of technical material – we welcome any follow up inquiries to discuss this information further – please feel free to call us at anytime or send us an email. How is Laser Energy Measured? In millijoules (mJ). Well that was easy! Not quite……. 1 Joule = The energy dissipated as heat when an electric current of one ampere passes through a resistance of one ohm for one second. One Joule is the amount of energy required to lift a medium-size tomato (100 g) 1 m vertically from the surface of the Earth. One Joule is the amount of electricity required to light a 1-watt LED for 1 second. So, a millijoule (mJ) is 1 thousandth of a Joule, just a tiny fraction of energy! 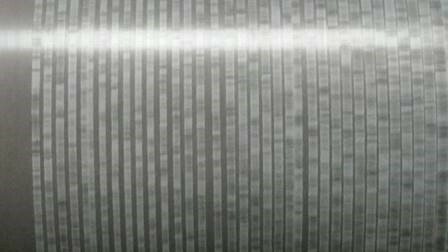 And when cleaning anilox rolls, the fraction of energy gets even tinier. Through extensive testing we have determined most aniloxes can be cleaned safely when using a .2 mJ setting or thereabouts. More on this later……but a key point here is that when considering using a laser system, you have to take into account more than just the amount of watts the system offers. It is just as critical to know and understand Pulse Frequency. Both of these values are required in order to calculate mJ – just focusing on watts alone does not tell the full story. So…….How do you calculate mJ ? Don’t think of watts like you think about a light bulb. Instead, let’s use a car analogy. If we want to drive up a steep mountain, most people would agree they would rather take a car with a 6- or 8-cylinder motor to power us up the hill – the risk of overheating the engine is less, and our vehicle won’t get strained along the way. Should we instead drive up the incline with a compact car that uses a 4-cylinder engine, by the time we get to the top our engine will be hot to the touch – this is where the expression “its running hot” comes from. The same principle applies to laser systems. The laser source of a system is what we call the “platform”. A higher wattage system is like using a larger motor in a car – everything runs better and much “cooler”. The Eclipse System uses a 50W “platform”. This means we can use a much lower pulse frequency setting, and as you will see below, the pulse frequency of a laser is the more important variable to understand and control to avoid potential roll damage. Measured in kilohertz (kHz) and also known as repetition rate, pulse frequency refers to the number of times the laser “fires” per second. Although the laser beam appears to be a continuous wave of light, the beam actually would look more like a dotted line if we could look at it in slow motion. Higher kHz values mean overall lower intensity laser energy. Lower values will increase the amount of laser energy, or mJ. When pulse frequency is set too low, there is a strong likelihood it will cause a condition called “micro-melting” or “micro-fractures” on the roll surface. Low pulse frequency settings generate too much photothermal energy (i.e. heat) for the engraved surface to withstand, which can lead to cell damage.Put another way, when we fire the laser less times per second, it results in a more powerful “burst” of energy with each ensuing pulse. The laser energy has no place to go when its not firing, so it just continues to build up and up until it fires again. When we increase the pulse frequency setting so that the laser fires more pulses per second, the photothermal energy is lessened because there is no opportunity for it to build up. Think of a fire hose – when it’s first turned on, it is very hard to control because the initial “burst” of water has been held under extreme pressure. Imagine turning off that same hose for a full minute and then turning it on again. That same difficult to control burst of water will occur again. In this example, because we are waiting a whole minute between hose bursts, we have given the water plenty of time to build up pressure before releasing it, resulting in a tremendous amount of energy escaping from the hose nozzle as soon as we turn the valve on each and every time. Now think of that same hose turned on and off once per second. The hose will be much easier to control because the water pressure doesn’t have time to build up. This same principle applies to pulse frequency – the higher the repetition rate, the less time the laser has to build up its energy, which allows the laser to do its job of cleaning a roll vs. damaging it. Watts + Pulse Frequency: Another Car Analogy Needed! A larger motor needs less RPM (rotations per minute) to drive 60 mph and a smaller motor requires more RPM to go at the same speed. In other words, smaller motors need to work harder than larger ones. A larger laser source operates on the same principle. A 50-watt system like ours uses less pulse frequency to remove dried ink and coatings, ensuring the process remains safe for your roll each and every time. A lower watt system requires a stronger pulse frequency setting in order to perform cleaning. Unfortunately, using more pulse frequency can quickly lead to roll damage. We have witnessed first-hand other laser systems on the market today damage rolls because their systems rely more on pulse frequency than they should to perform the cleaning. Although this approach is less expensive up front (a lower watt laser will always cost less than one with more watts), it creates a risky situation that ultimately could cause the cheaper system to become much costlier in the long run due to cell damage which results in roll resurfacing and replacement costs. In most cases, .2 millijoules (mJ) or less is the right amount of energy to clean an anilox roll provided the pulse frequency is set to at least 200 kHz (or higher) – this is a key point and is discussed further in a little bit. Again, more watts means less pulse frequency needed. *We have discovered this is an insufficient level of energy for effective removal of most inks and coatings on the market today. So, let’s see how the Eclipse Laser Cleaner at 50 watts compares to 30 and 20-watt systems. Remember that the lower the pulse frequency (aka repetition rate) equals MORE photothermal energy (heat). This table shows how many mJ get produced depending on the combination of watts and pulse frequency used. Our testing has shown when pulse frequency is below 100 kHz, it has the potential to cause roll damage. Pulse frequency is independent of watts in this case – no matter if you are using a low or higher watt system like ours, we do not recommend cleaning rolls using such a low pulse frequency. But wait – above it says a .2 mJ energy level is safe? Correct. Doesn’t the table show the competition only producing .2 or .3 mJ at 100 kHz? Yes. But…. don’t forget about the car analogy. The competitions “platform” (4-cylinder engine going up the mountain) requires the motor to run hot and possibly overheat before it even reaches the summit. Our “platform” (6-cylinder motor going up the mountain) runs cooler even when it goes faster. When lower watt systems try to avoid this situation and use a “gentler” pulse frequency, it lessens the overall energy (mJ) being used (see yellow boxes in above table), which results in either a slower cleaning cycle or inconsistent / poor cleaning outcomes altogether. We even know of a company that only uses 70% of their 20-watt laser source, or 14 watts. This means it will take even longer to clean a roll, as their system has to slow down a lot in order for it to work without harming a roll surface. Everything you have just read boils down to this: lasers can damage rolls if the proper settings aren’t used. Our deep understanding of how this technology functions and extensive experience cleaning hundreds of client rolls gives us the know-how needed to help companies with their roll cleaning needs. 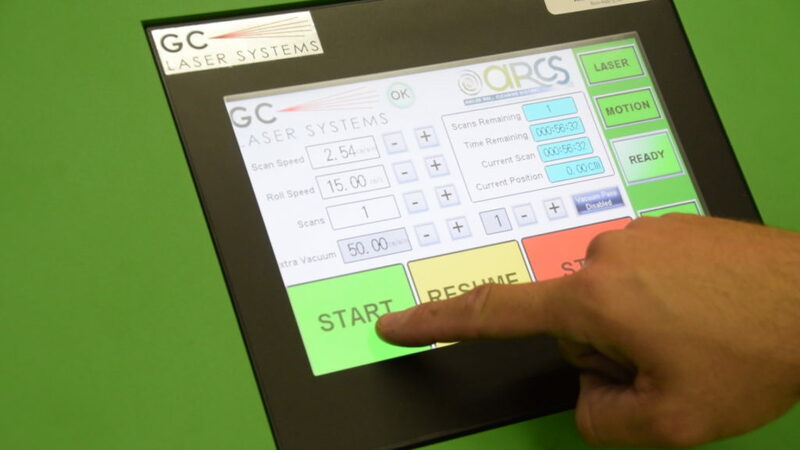 The Eclipse Laser Anilox Roll Cleaning System operates in a safe zone, one which rides on the right “platform” (50 watts) enabling it to clean using optimal pulse frequency settings (see green boxes above). Earl C. Henderson, NC "The roll came in on friday and we tested it. Great job! Thank you for helping us out on this one." Robert L. Streetsboro, OH "Everything went well as expected. As usual the crew was very professional. I recommend you as often as possible. The results speak for themselves." Devin B. Northwood OH "I just wanted to update you on the roller we rec’d back. It has been quite amazing how well our coating looks now!! So thank you for the great job!" Jerry R. Webster NY "He actually exceeded our expectations as to how fast the process went"
Frankie S. Conover, NC "The roll came in on friday and we tested it. Great job! Thank you for helping us out on this one.As always everything went very well. Mike does a great job: always on time and very professional on the service he performs. Thank you for what you and your team do for our plant."